Mobile app marketing is considered as a complicated process for the marketers but it can bring huge success and benefits if it is thoroughly planned and implemented the marketing approaches to target audience. By doing so, the marketers must fully know and understand that your target audience is the end-users of the mobile apps. This means that you should understand the behavior of these users before doing a certain marketing strategy for mobile apps. Like any other products or services, mobile marketing has its pros and cons. It is also important to know them which you can use in planning and implementing your strategy. • provides direct and immediate results where the user can make and receive messages or calls in real-time, even if it is on standby mode. • simple and easy to operate such as retrieving content from mobile gadgets, whether they are in the form of video or pictures. • handy and convenient to use and although the size of the screen is small and limits the contents that can be showed. The users can keep the message simple and direct. • monitors the user response almost instantly. • big opportunities for successful marketing strategies. • allows the marketer to reach wider market audience as promotion for products and services with the use of GPS and Bluetooth systems. • secure online payment transactions is the latest mobile apps that is not viral but also very useful. • platforms become very diversified using different operating systems and browsers that can make campaigns too difficult. • privacy concerns on the part of the end-users that the mobile marketers need to know and understand, particularly on the confidential data. • browsing on mobile phones may be difficult because of its small screen and being without the mouse, considering that there are some ads that does not work even if the mobile has a touch screen features. 1. Determine and understand behavior aspects of your target customers and clients and look for strategies to attract and engage them. Learn and analyse their behavioral patterns, knowing that every end-user is special and those who are using various forms of mobile gadgets have their own way of behaving. For example, younger ones can easily learn the recent technology like Android and iPhone. The business sectors may incline to prefer the purchasing business phones and tablets with business apps they can use for their transactions. You can do this by analysing the visits to you mobile websites, the kind of visitors and the gadget they use, their particular needs, and their requirements. Customer surveys are ways to understand your customers to serve them better. 2. Focus on your objectives to provide your customers and clients the excellent benefits they can receive from you with the use of mobile apps. Remember that your customers are your major key to a successful mobile apps business and offering them the best services will make them stay in your fold. Continue to offer good deals, coupons and discounts and give them helpful location-based data and encourage them to share the data with friends and families, especially those who are their mobile social networks. 3. Filter and employ the best marketing strategy that can attract more potentials customers and keep your good ones. It may be a long process creating a team for the planning, of promoting your products and services, collecting and processing the user information, selecting the best mobile platform and many process should also include the duration of your advertising campaigns so that you will be able to determine the maintenance and implementation of the phases of the app marketing procedures. 4. 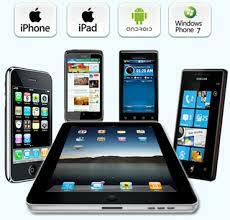 One of the crucial parts is selecting the right mobile technology for your marketing applications. SMS will surely reach more market audience considering that this is one of the low-priced ways of promoting your products and services. It is a direct way of connecting and communicating with your customers. Developing mobile applications that promote your products and services is truly one of the best app marketing strategies. Well, there are mobile apps that can easily be downloaded for free but making an application needs more time and spend some money to get the best mobile applications.